Home About us Meet Dennis the BE Dog! Meet Dennis the BE Dog! 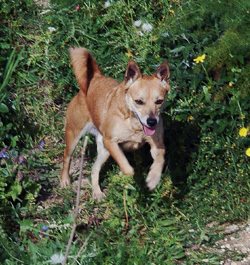 Shortly after we sponsored Dennis, we were delighted to receive some lovely photos of him, courtesy of Gozo SPCA, as well as a copy of the sponsorship certificate. We thought you might like to see them as well! Here’s Dennis close up. 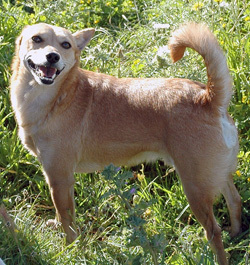 How could anyone not love a nice, friendly dog like that? 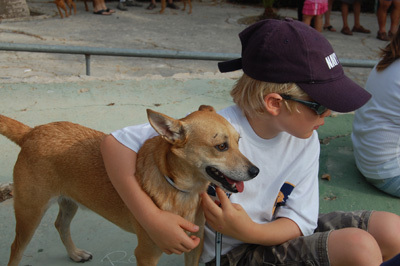 No wonder he’s so popular when Gozo SPCA take him round on their school visits. And here he is out for a run. Great to see him enjoying himself so much! It seems Dennis is something of a celebrity! 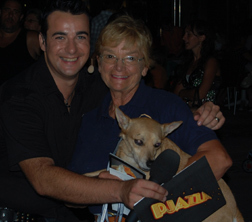 Here he is appearing on a live programme on Maltese television, together with Betty Berry, Centre Manager for the SPCA. You can see why we think Dennis is great – and it was no surprise to us to hear that he’s got another sponsor! Hector lives in the UK but takes Dennis to the Gozo annual dog show every year; here they are at this year’s show. 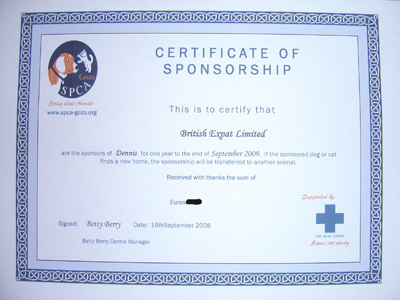 Finally, here’s the sponsorship certificate you receive whenever you sponsor one of Gozo SPCA’s animals seeking a home.